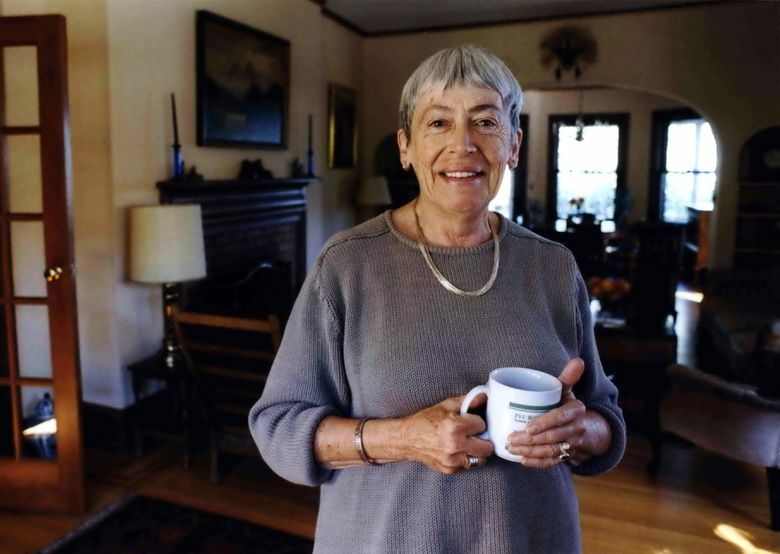 Ursula K. Le Guin, who died in Portland on Monday at the age of 88, is cause for reflection on the society we have, especially in light of the latest gun violence. I heard about the death of Ursula K. Le Guin about the time I also read of yet another school shooting, and the juxtaposition reminded me how far this country still needs to go toward being socially mature. The Portland novelist and poet excelled at writing literature that examined society and individuals through the lenses of morality and compassion. She encouraged people to think and to learn from errors. How often we fail to do that. Le Guin died Monday, and on Tuesday two teenagers were killed and 18 other people injured by a gunman at a school in Kentucky. That shooting got a lot of media attention, but there had been another at a school near Dallas the day before that got less notice because it wasn’t as big. One teenage girl was injured. Most shootings don’t make news around the country, but they happen too often. The Kentucky shooting was the 11th school shooting this year. That’s 11 in 23 days. And that’s just school shootings. More than 33,000 people are killed by guns each year in the U.S. The U.S. is exceptional in the ordinariness of its gun violence. In a comparison with 22 other high-income countries, the U.S. gun-related murder rate was 25 times higher. America is saturated with guns, and in our popular culture, from TV shows to movies to video games to books, guns are often the tool of choice for resolving problems. The worlds she created made room for diplomacy, for women and for people of all colors. We haven’t caught up to her fiction yet. Our country is not unique in struggling with gender or racial inequality, but we stand out when it comes to gun violence. Only a minority of Americans own guns, but the ones who do often own several, and they fight hard for that right, while the majority are mostly focused on other things. The passion of a few drive the discussion of limits on access to firearms. But much of the country is steeped in gun mythology that makes it difficult to find support to significantly curtail access to guns. From westerns to space operas, weapons are part of popular culture. There is a strong reaction in the aftermath of some mass shootings, like the 2012 Sandy Hook shooting or last year’s massacre in Las Vegas, in which 58 people were killed and 851 injured. But it never goes far enough. There were the usual calls for legislation to restrict access to certain kinds of weaponry. Bump stocks, which allow for rapid firing of rifles, have been a frequent target for restriction after the Las Vegas shooting. They should be illegal, but the problem is much bigger than that. And most people just don’t know much about guns and their impact. Mass shootings get lots of coverage, but they don’t constitute the majority of gun fatalities or injuries. Suicides are by far the majority of gun deaths, and after that are homicides by people who know each other. Handguns are involved in more deaths than long guns. Only 42 percent of polled Americans knew that Congress had not adopted strict gun-control legislation in response to the Sandy Hook shootings. The public needs more information and more voices that ask us to look more critically at our society.